Originally posted: February 7, 2018 . Last modified: September 21, 2018 . 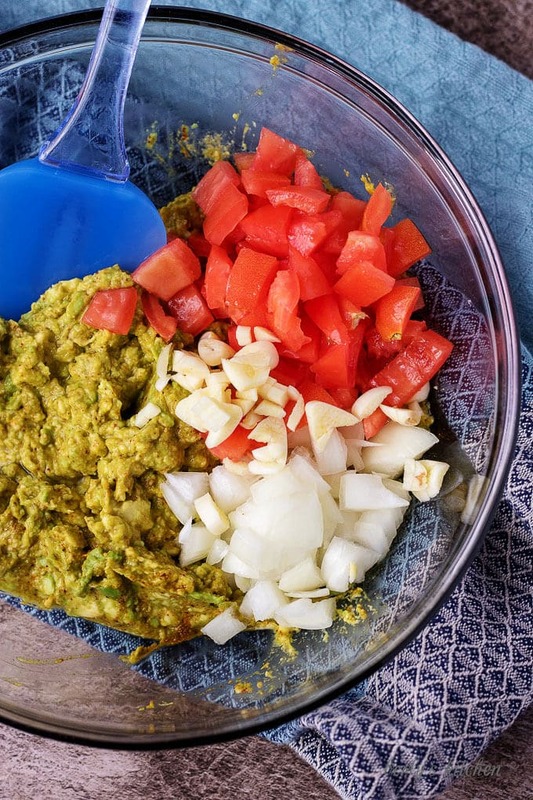 A simple, yet zesty homemade chipotle guacamole infused with fresh lime juice, a variety of spices, rich avocados, ripe tomatoes, and crunchy white onions. Just because the big game has ended doesn’t mean we have to stop eating delicious snacks. Kim and I were going over some of our older recipes and noticed our guacamole needed a little updating. Starting with the name, we changed it from easy homemade guacamole to chipotle guacamole. Since we use chipotle powder in the dip, we figured why not let that be the highlighted ingredient. Kim also updated all the pictures and I have rewritten the post. Now, enough exposition, time to get started on the homemade guacamole. I mean the chipotle guacamole! First, gather all your ingredients and grab cutting board and knife. Next, dice your onions and tomatoes and set them aside. Make sure you use a spoon to remove the seeds and insides of the tomatoes while dicing them. Then juice your lime into a different bowl and set it aside. In a pinch, you can use store-bought refrigerated lime juice from a bottle. Now, in a large mixing bowl combine the avocados, lime juice, cumin, chipotle powder, black pepper, turmeric, cayenne powder, onion powder, garlic powder, smoked paprika, and salt. After that, using a potato masher, smash all those ingredients together until the guacamole is smooth and creamy. Last, fold in the onions and tomatoes. That’s it, you have created homemade guacamole. 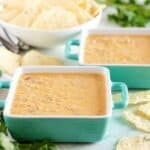 Serve the dip with tortilla chips or carrot sticks and enjoy. It can be stored in a sealed container for about 2 days in your refrigerator. Save the avocado pits and place them into the guacamole when storing it in your fridge. It will help the dip stay green and not turn brown. For a creamy, tart kick, try adding 2-tablespoons of sour cream to the homemade guacamole. Another great guacamole dip shortcut is to mash the avocados with salt and pepper and fold in 1/4-cup of jarred salsa. Need more great appetizer ideas? Here are a few: Crab Stuffed Mushrooms, Easy Olive and Caper Tapenade, and Jalapeno Cheddar Cheese Ball. If you like this homemade guacamole recipe, please leave us a comment and rate the recipe card. You can also find us on Facebook, Pinterest, Twitter and Instagram searching for Berly’s Kitchen! 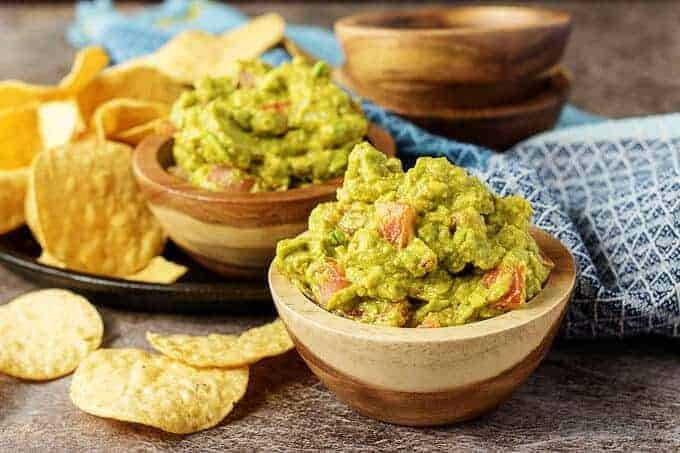 A simple, yet zesty easy homemade guacamole infused with fresh lime juice, a variety of spices, rich avocados, ripe tomatoes, and crunchy white onions. In a bowl, dice onions and tomatoes, making sure to remove seeds and insides of tomatoes and set aside. Juice lime in separate bowl and set aside. 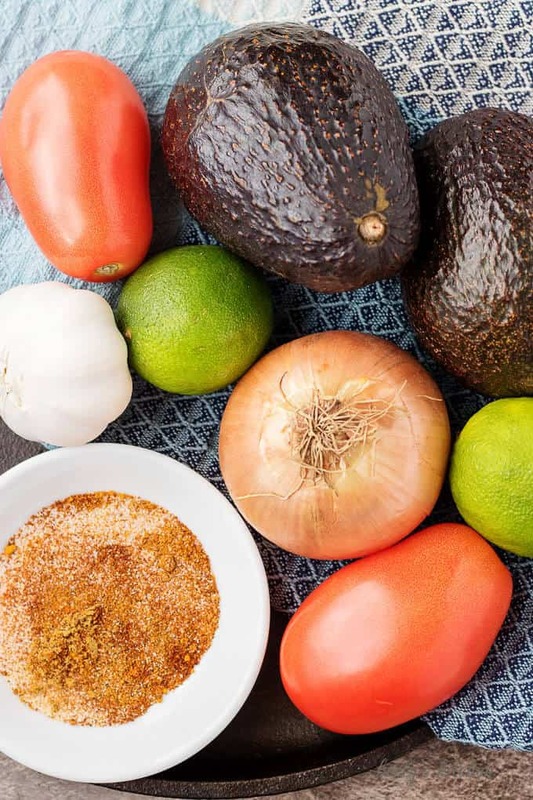 In large mixing bowl, combine, avocados, lime juice, cumin, chipotle powder, black pepper, turmeric, cayenne powder, onion powder, garlic powder, smoked paprika, and salt. Use potato masher to mash all ingredients together until dip is smooth. Fold in fresh onions and garlic. Serve with chips or vegetable sticks. Store in sealed container in refrigerator for up to 2 days. 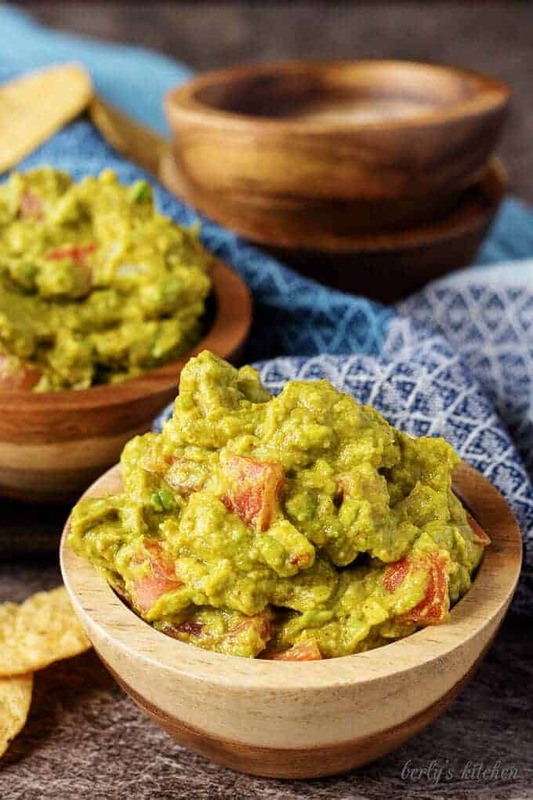 I love guacamole but always thought it would be too difficult to make so I always just opt for store bought -_- this recipe is exactly what I need thank you!! Thank you, Kathy! It’s pretty simple, just throw it together and mash it up lol! Mmm I love a good homemade guacamole! It’s always so much better than anything you can buy in stores, never tried to make it with chipotle powder or turmeric though! Thank you, Tine! The chipotle powder is more so about preference. You can use Chili powder if you like that flavor better. The turmeric is kind of optional. Due to some medical conditions, which I won’t get into here, my Rheumatologist recommends turmeric in everything. It is supposed to help with inflammation. Not sure if that’s true, but hey, she’s the doctor lol! That looks good! I’m sharing this to my husband, I’m sure he’ll be delighted! This is perfect for the super bowl! 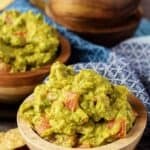 I love guacamole, and your recipe sounds delicious! I have never put spices in mine. I usually add serrano or jalapeno pepper, lime juice, cilantro, salt, and sometimes a little salsa. I will have to try it! Thank you, Sarah! The best part about knowing exactly what to put in is that you can adjust the spices according to your preferences. Who doesn’t love guacamole?! pinning for later. Love! Love! Love guac! I also buy avocados and forget about them so this will be great for me. Yum! I just started liking guac this year actually – so glad I finally joined the party! Thank you, Rachel! Glad you here you joined us lol! I love a great guacamole! This sounds like the perfect recipe! There is nothing better than a big bowl of guacamole and some chips! This recipe looks delicious and I will definitely be making it this weekend. I would love to have a big bowl of this today. Yum! Mmmm… I love guacamole! Why is always an extra fee when you order it at the restaurant??? Ugh! YUMY!! I will most definitely be making this soon!